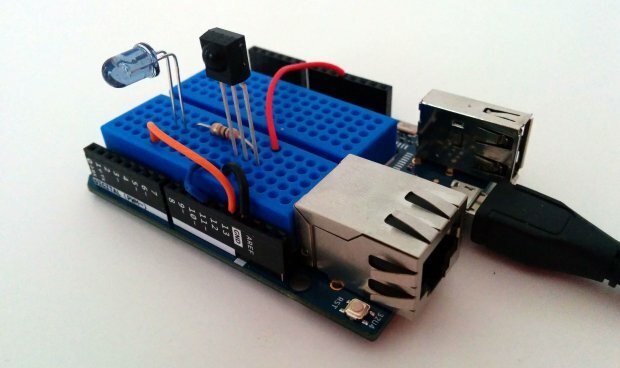 With this clever project from Tony DiCola you can overcome the confusion of having multiple remotes by combining them all into an Arduino powered universal remote. The remote is built using a number of common parts including a IR led and an IR receiver. The IR receiver is used to decode the signals from the original remotes so that they can be sent to your entertainment devices by the IR led on the universal remote. When set up, the universal remote can provide an interface between your various entertainment devices and your smartphone allowing you to control all of your devices from your smart phone. This is a perfect project to integrate into your home automation system allowing you to control your TV system from any smart device and even schedule recording or automatic channel switching and implement any other number of useful features. To get started on this simple but useful project, check out the following link. Subscribe to SuperHouse Automation on YouTube to learn more about creating internet of things devices! Considering creating your own universal remote? The team at SuperHouse Automation would love to know! Let us know in the comments section below or on Facebook and Twitter.